Debt funds are seen as a safe avenue for investing. Marketing debt funds is a common way for advisors to boost up their AUM. Portfolio advisors talk of debt-equity split in the portfolio as a safe-risky asset class split. After a stellar year (2016), debt funds faced a terrible year. At a time when equity markets are in a strong bull run and investors are grinning at their 20% p.a. and higher CAGR, a few are sweating over their debt fund returns even if their equity gains are pushing up the over all returns. 2017 bursts a famous myth – Debt funds are safe to invest in. Most investors and advisors fail to deep dive into the facets of investing in debt securities. It is not simple as investing in a fixed deposit AND neither is it an alternate to fixed deposits for the layman investor. When you invest in debt, your focus is on protecting capital and not growing it – So is it worth investing in a much riskier asset for an extra 0.8% to 1% p.a.? Bond prices fell and thus yields went up. The prices of debt assets held by medium and long term debt funds slipped thereby resulting in lower NAVs. In the last quarter of 2017, the 10 year G-Sec yield rallied from 6.4 to 7.2 and this sent bond prices spiralling lower. There is still immense volatility in the yields due to different reasons and this is expected to continue into 2018, which we foresee as another tough year for debt fund investors. Bulls might be ruling the roost on Dalal Street but bears have taken complete charge of bond street. Which funds did we advice? 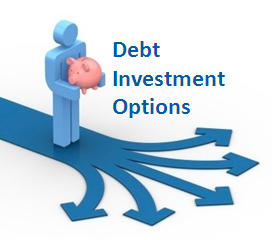 We advised our clients to invest in 4 debt funds. We also shared a detailed report (available at the end of this post) highlighting WHY we chose these 4 debt funds. What does this mean for debt fund investors? Every debt fund investor should understand the risk factors associated with investing in debt instruments. These instruments are not as simple as a bank fixed deposit and though they offer better liquidity, higher returns and lower tax on interest, the risk is much higher than a bank fixed deposit. 2018 is going to be another tough year for debt fund investors and a careful analysis is needed before any investments are made in debt funds. Invest in debt funds only if you are well aware of movement in bond prices or if your advisor has the knowledge of these instruments. Our research desk focuses not only on equity assets but also on debt instruments. We got the debt funds right in 2015 and 2016 and then we again got it right in 2017. Our research and advisory services for investors focuses heavily on debt-equity allocation based on valuations, thus it is very important for us to get the debt funds right. Choosing the right debt fund involves the study of many factors: interest rate movement, macro economic data, duration, sensitivity to interest rates and quality of paper.